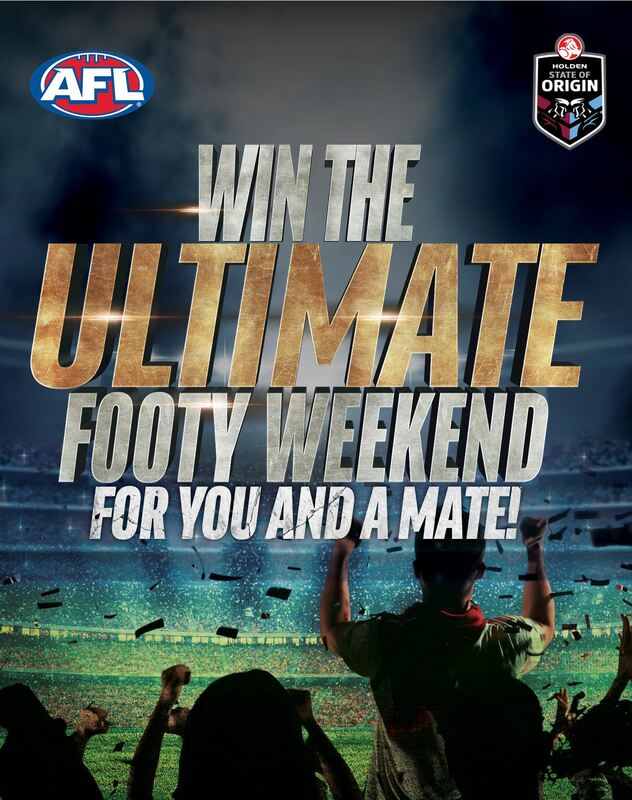 Ainslie Group wants to give you and a mate the opportunity to WIN the Ultimate AFL & NRL Weekend away! The package for 2 includes return flights to Perth with Virgin Lounge access, private limo transfers to & from the hotel, 4 nights’ accommodation with breakfast included daily, tickets to West Coast Eagles Vs Essendon and State of Origin 2, PLUS a bonus $1,000 spending money if you’re present at the draw! The major prize will be drawn at halftime during Origin Game 1, so make sure you head in to win! To find out what sports we’ll be broadcasting on the big screens each week, make sure to us on Facebook [Ainslie | Lakes] or contact us.